Some more examples of how Electrical Noise can be dealt with. There are NO 'RIGHT' or 'WRONG' solutions. All depends on the situtation. Please do not try to implement these solutions without the help of an electrical engineer who has surveyed your premises. In Diagram 2, the delicate electronic devices circuit is completely cushioned from its surroundings via an Isolation Transformer. 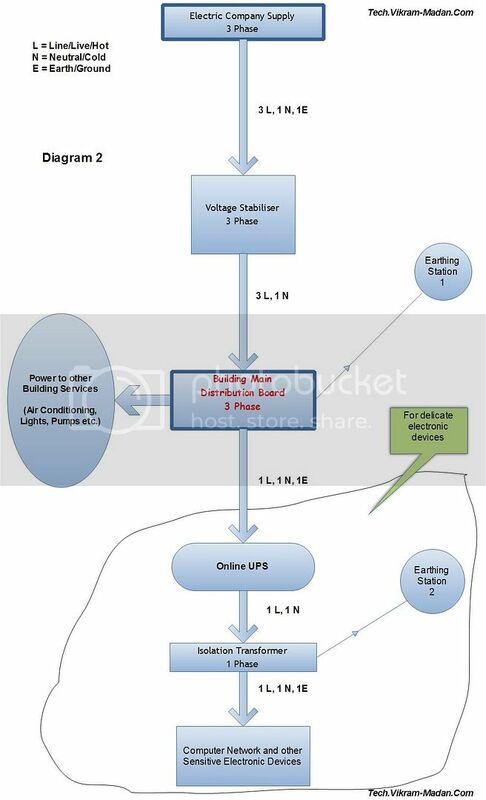 In Diagram 3, the Online UPS has also been isolated from the surroundings.